Hello and happy Valentine's day, everyone! I got a special surprise today from one of my best seller, Silver Leica. If you don't know what Silver Leica is, it is basically a website that sells girl's accessories and phone casings decorated with candy and chocolate look a like. Check out her website HERE to see her portfolio of the cases she had done before. She also ships internationally, so be sure to check her out. A few months ago, I placed an order to her telling her that I don't want a fully decorated casing, instead I wanted a half decorated casing. 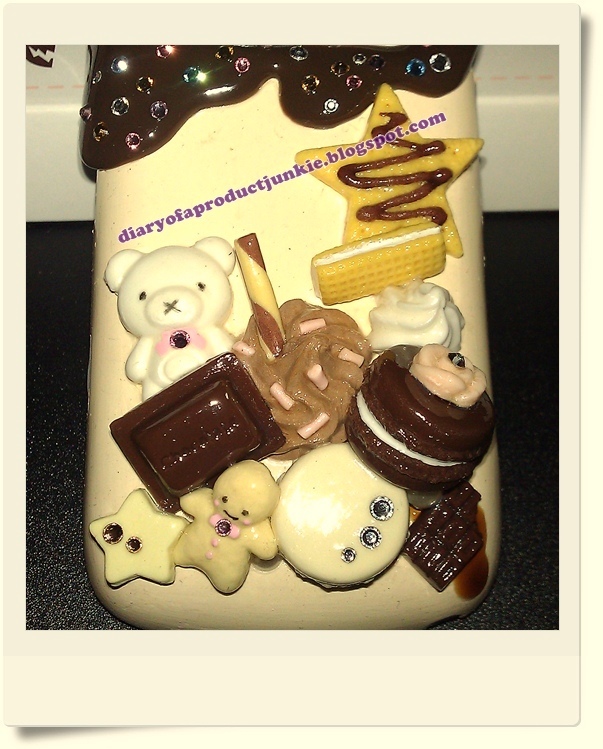 The theme I chose is chocolates and a polar bear, weird much? 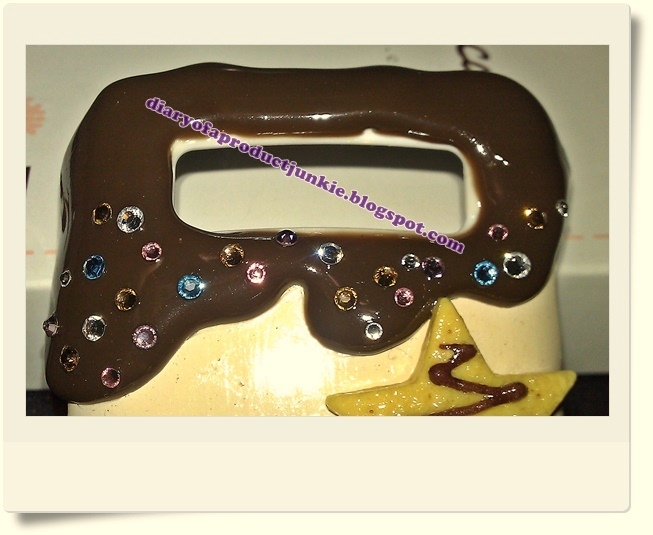 Anyway, I also added that I wanted a dripping chocolate on the top, without any whip cream. She was confused as to why I only wanted the bottom half of the casing decorated because some people dislike that. I said I wanted something different and she agreed to it. After a month or so, it's finally here. 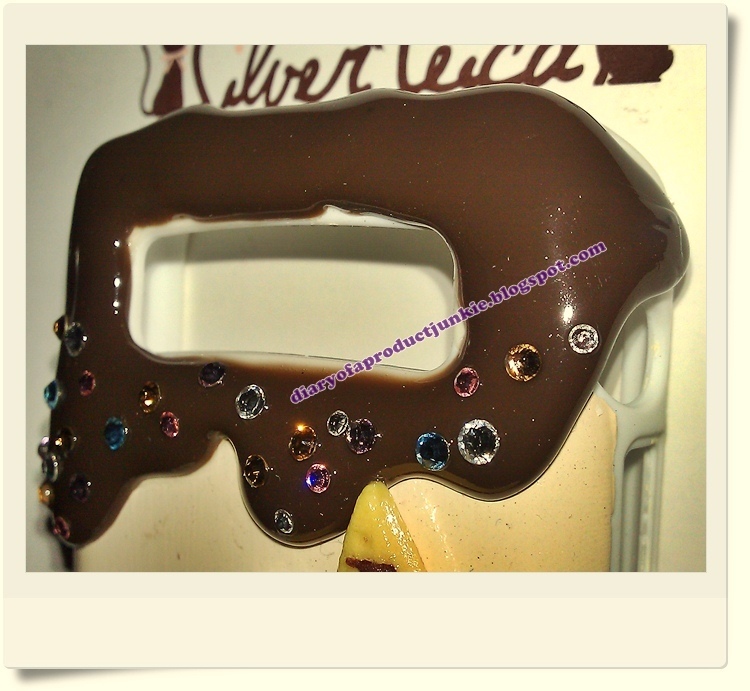 My simple deco sweets casing from Silver Leica. I tried taking pictures with my HTC Desire HD, but it doesn't do so well. The colours are washed out, so sorry for the bad pictures. The box that made my day! The box itself is cute as a button! The star of the show. Look at all those Swarovski crystals! I'm blingin' yo! Bling bling from the front. The half decorated casing without whip cream. The chocolate bar is to die for!! As if that wasn't sweet enough, she gave me a box of REAL chocolates!! 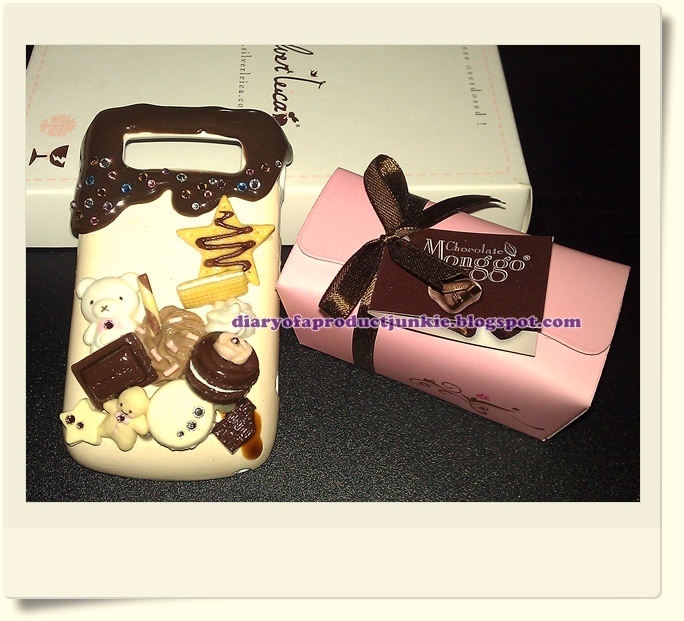 Again, you can order your own casing and design them however you want them. With or without whip cream, chocolates, candies, macaroons, pralines, star-shaped, bears, anything you can think of. 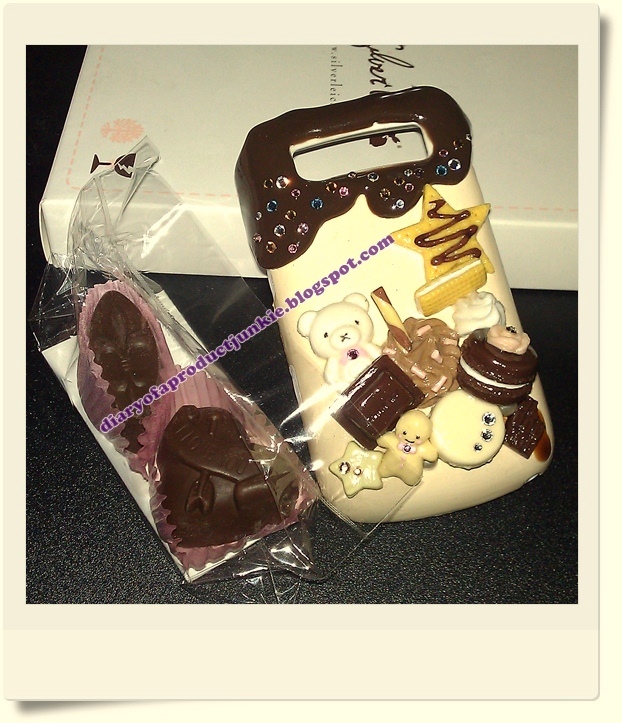 So, go to the website to check out her other designs and have fun designing your own phone casing! lucuuuuu xD uwoo baru tau kalo ada web ini..